Our luxury 10 passenger stretch limousines define what it is to arrive in style. Big enough to fit a party of 10, it can be used for almost any occasion. 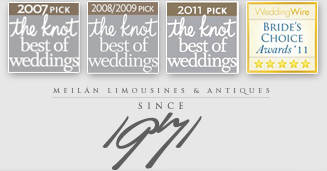 Our magnificent limousines are always top of the line and kept up to date. 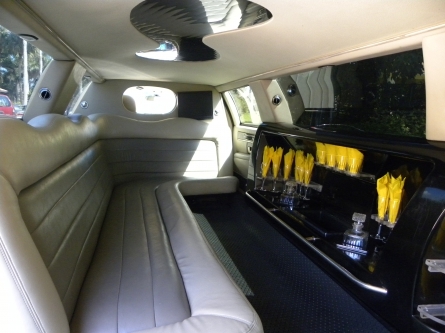 The limousines are equipped with an extended inventory of amenities: decanter and drinking glasses, complimentary soft drinks, mood lighting, privacy divider, TV with DVD, and stereo sound system. The stretch limousines are configured in six, eight and 10-passenger models. These deluxe vehicles are increasingly popular with corporate clients for airport services and corporate meetings/gatherings. Available in both Black or White.